Klaus Faber foundation. Our commitment to society. In 1950, Klaus Faber took the plunge into self-employment and established “his” company in Saarbrücken with his wife, Elfriede Faber. The company showed steady growth over the years. Mr. Faber always ploughed back the company profits and politely but firmly rejected the most lucrative offers to buy his company. He wanted to keep his independence, be his own boss in the company. It has become a second family for him. Over the decades, Faber grew into a healthy, financially sound and productive company with 230 workplaces. In his tireless commitment to the company in general and its employees in particular, Mr. Faber ensured that a part of the surplus generated by Klaus Faber AG would benefit medical research and applied medicine by way of the Klaus Faber Foundation he established. This Klaus Faber Foundation was recognized as charitable in 2013. A donation from the charitable Klaus Faber Foundation has helped the CaritasKlinikum Saarbrücken St. Theresia install a state-of-the-art hybrid operating theatre in conjunction with an investment by its owner. The official opening took place on 8. March 2017. 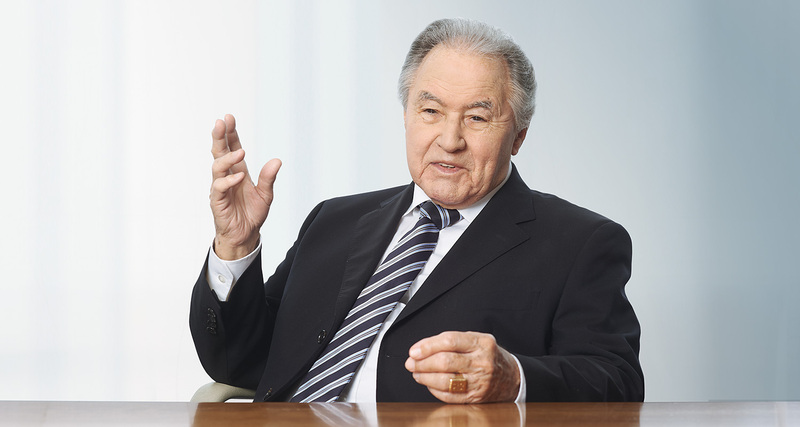 By creating a foundation which, besides funding medical research in the field of “multiple sclerosis”, amongst others, will also permanently ensure the continued existence of Klaus Faber AG in the future, Mr. Faber has created the basis for what he always particularly cared about and attached the greatest importance to: safeguarding the workplaces for the long term. For us employees, knowing about the foundation additionally means that, besides our joint work for one of Europe’s most successful cable distributors, we can always be certain in our everyday routines of also serving a higher social aim, and therefore ultimately the common good. This can be an important motivation factor in the day-to-day work of every single one of us.